How to make Bootable Pen drive/USB Without any Software for Windows 7 and 8: Do you know that you can boot a new operating system in your laptop or format your PC through a USB Pen drive. Yes, you heard it right!! through a USB Pen drive. Many people do not know about it. Also, booting through a USB pen drive has many advantages. It is helpful for those who does not have optical drive or if their DVD drive is not working. It becomes difficult for them to format their system in case their Windows is affected by virus. Instead of buying a new external optical drive, they can opt for this process. There are many softwares available on internet to make a bootable pen drive/USB. But it is a long and confusing procedure. 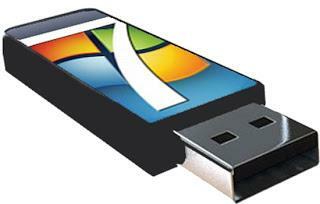 So, I will tell you the procedure to make a bootable Pen drive/USB without any software for Windows 7 or 8. You just need to do a simple coding and you are done. But please make sure that you have all the necessary requirements needed for this process. Blank USB (pen drive) of minimum storage capacity of 4 GB. A fresh copy of Windows 7 or 8 files. A system of Windows XP or greater operating System. The process of installing a Window from a USB pen drive is much faster and better than that from Optical DVD drive. There is no vulnerability of scratches and corrupt files. It is the best option for those who do not have optical drive. Insert your 4 Gb pen drive or greater pen drive into your laptop or PC. Go to start. 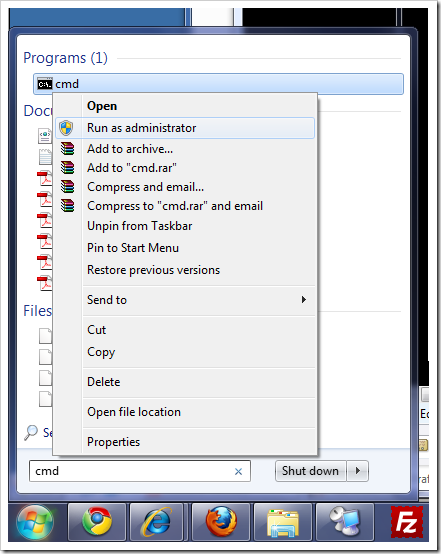 In search programs and files, type cmd, right click on it and then click on “run as administrator”. A new window called command prompt will appear in your screen. Turn on your CAPS LOCK. Type LIST DISK and press enter. This will show all the drives available in your system. Find the Disk number of your pen drive. In my case, it is Disk 1. There can be different disk no. of your USB pen drive depending on your no. of drives. Type CLEAN and then press enter. Type ACTIVE and then press enter. Type FORMAT FS=NTFS and press enter. Wait till the processing becomes 100% complete. Do not do anything until it becomes 100% or else it may create problems or errors. Type ASSIGN and then press enter. Your USB pen drive has successfully become bootable and is now ready to use. You just need to copy and paste all the files of Windows 7 or 8 files in the pen drive. After copying the files, you can boot a new windows in your laptop or format your PC through this easily. Before making bootable USB pen drive, do make sure that you are using only one pen drive at this time. Please make sure that your CAPS LOCK is on before typing anything in the command prompt otherwise it will not detect the commands properly. Before installing the windows, set your system as BOOT FROM USB in your BIOS settings otherwise you will not able to boot from Pen drive. To go to BIOS settings, restart your system and press a function key from f1….f12 depending on the configuration of your system. Usually, it is f8, f9 or f10. This procedure is only for Windows 7 and 8 and is not compatible for Windows XP. Previous articleAirport scanner game apk file free download, android phones and tablets.